Peripheral neuropathy is a term used to describe the damage to one or more of the peripheral nerves. The damage disrupts the messages traveling between the central and peripheral nervous system. Peripheral neuropathy, a result of nerve damage, often causes weakness, numbness and pain. Most commonly, peripheral neuropathy starts in the longest nerves, which are the nerves that reach to your toes. Peripheral neuropathy can be classified according to the number and distribution of nerves affected. Has a sudden or rapid onset. Develops gradually and becomes more persistent. When only one nerve is damaged. When multiple nerves are damaged. The most common cause of peripheral neuropathy is diabetes. According to the American Diabetes Association, 60 – 70% of people with diabetes will develop some form of neuropathy in their lifetime. Peripheral neuropathy is chronic and develops slowly over several months. Pain will usually occur in the hands and feet, but it may also occur in other areas of the body. People generally describe the pain of peripheral neuropathy as tingling or burning. Before the mass production of pharmaceuticals, community pharmacists prepared medications from scratch. This was done through a process called compounding. The main tool being a mortar and pestle, pharmacists would mix ingredients by hand to created customized medication their patients required. These medications were designed to meat individual, unique needs. 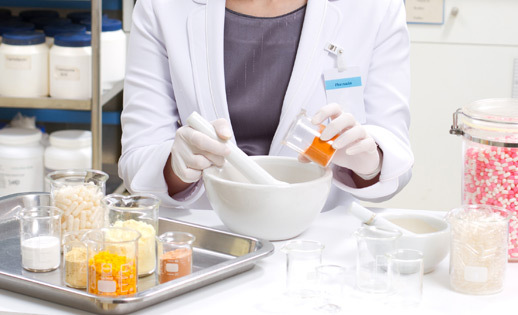 Customized compounding is becoming increasingly popular again today, and for good reason. Compounded medication now makes up roughly 3% of all prescribed medication today. While over-the-counter and prescription medications are mass produced, they have not delivered as promised and patients are looking for alternative, safer forms of treatment. Customized compound creams offer individually created care and it is the alternative to endless oral medication. With topical application comes the elimination of side effects and other major complications. Compounding creams also eliminate the possibility of dependency, a far cry from more conventional methods. Compounding promises to change the way we treat peripheral neuropathy, by acknowledging that patients are individuals. Unlike most forms of medication which you have tried before, the results of using compound creams are staggering. In many cases, relief can be felt within a few short minutes. Compounding creams are able to manage and control your symptoms while offering to restore your quality of life. To find out more on compounding and neuropathy, please read Compounding: The Diabetic Neuropathy Cure.